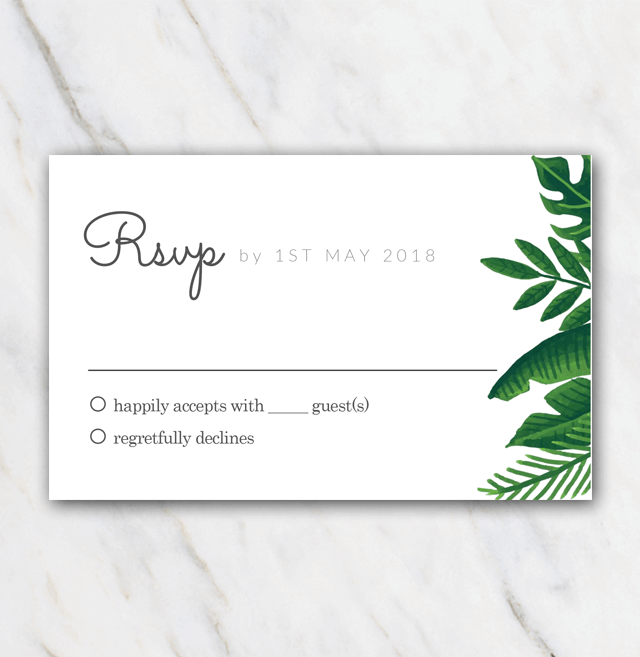 This tropical green wedding rsvp template looks great especially when you are thinking of having a tropical-themed wedding. Make sure you also have your invitation and save-the-date in the same style, you'll definitely amaze your guests. Rather have a wedding stationery pack without a theme? Have a look at the other rsvp templates and pick the one you like best!